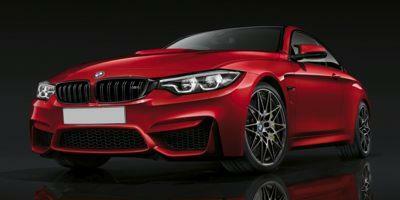 The M4 is a beautifully designed two-door coupe with a specific focus on high-octane thrills. A solitary trim level offers 18” alloy wheels with high-performance tires, sport-tuned suspension system, electronic rear differential, heated/folding/powered side mirrors, remote entry/start, two-zone climate control, leather upholstery, heated/powered front seating, folding rear seating, 8.8” touchscreen, parking camera, GPS, Bluetooth/smartphone/USB integration and 16-speaker Harmon Kardon audio system. Options can add features like 20” wheels, 360-degree parking camera, automated parking system, front/rear parking sensors, powered rear sunshades, wireless device charging stations, powered-retractable hardtop, and much more. The M4 is equipped with a turbocharged 3.0-liter inline six-cylinder engine that’s good for 425 horsepower and 406 pound-feet of torque.